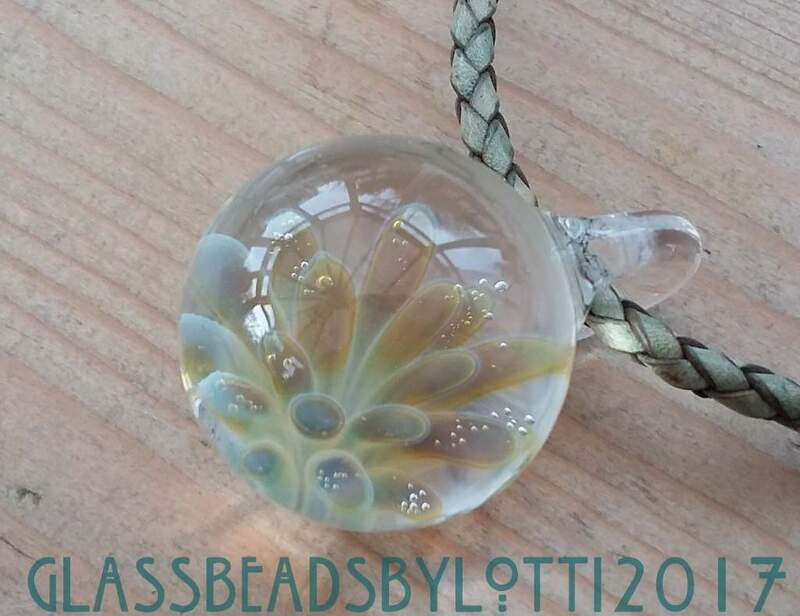 Lotti is a Lampwork (or Flamework) glass artist and she started off in this line of glass art making beads. 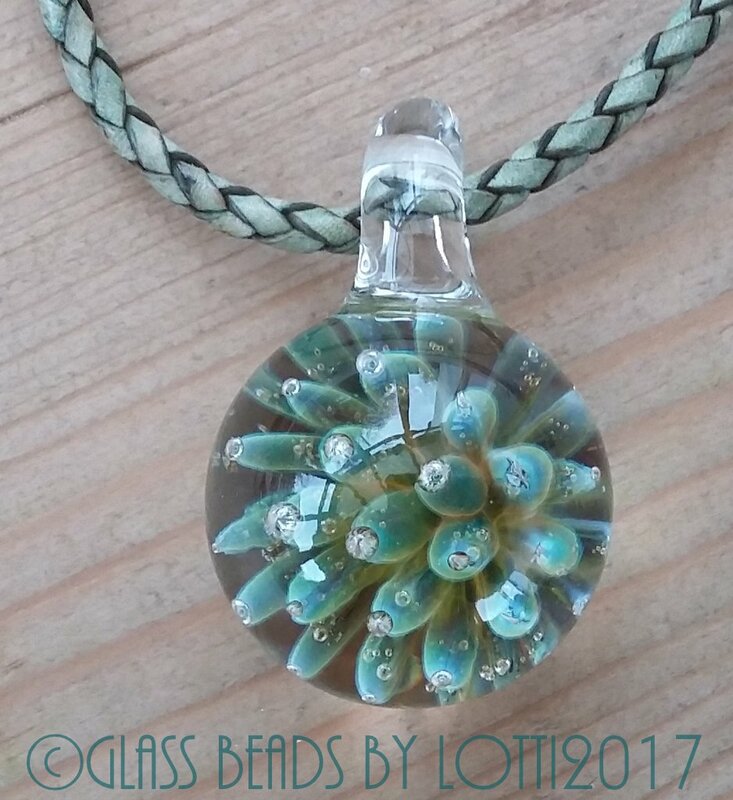 Her b ead journey started many many years ago when her sister taught her to use a bead loom working with those tiny seed beads that you need very good eyesight and alot of patience to work with. Her sister had lived in the wilds of Northern Canada for some time (it’s one of the places that appears on the programe Ice Road Truckers some times!) and was taught bead loom work by the local First Nations people. Lotti continued to dabble with the loom for years on and off, always using the designs of the First Nations people as inspiration, but this work was just for fun and she wanted to learn more about the loom and bead working and one day looking for inspiration in a magazine she found a tutorial in a magazine for making glass beads. 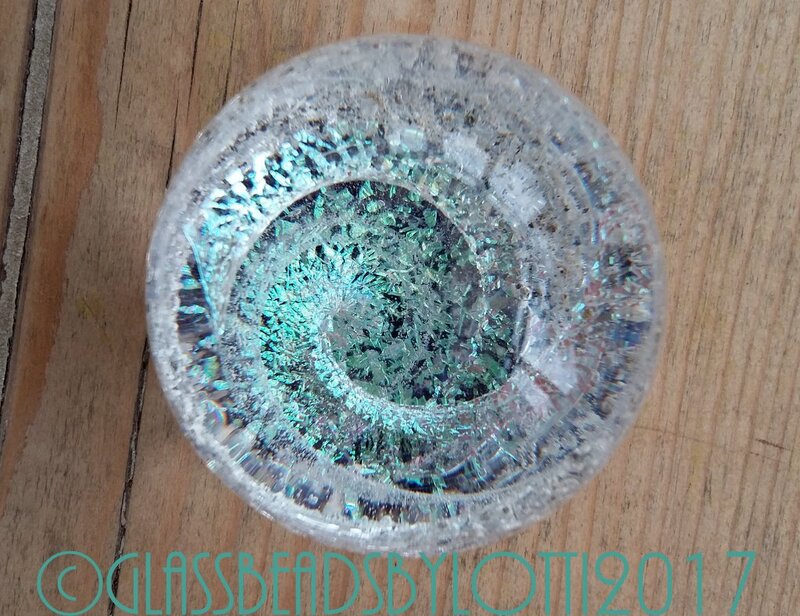 Lotti has always had a thing about glass; as a child the family’s favourite poem was ‘Overheard on a Salt Marsh’ by Harold Munro; the first two lines of which are ‘Nymph, Nymph, what are your beads? 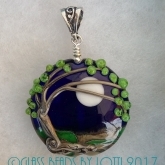 Green Glass Goblin’ and she and her sisters always had a fascination for green glass beads! 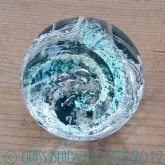 For Lotti to find that you could make your own ‘green glass beads’ was a revelation to her and she quickly enrolled on a course in North Devon in 2010; since then she has attended further workshops and classes and is a member of an active worldwide forum where ideas are shared and problems solved. 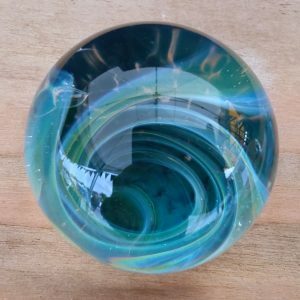 Lotti uses two different types of glass in her work, soda lime glass or soft glass and borosilicate (boro or pyrex) which is a much harder glass and needs hotter working temperatures than the soft glass. 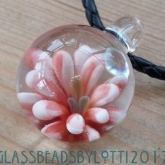 She uses the soft glass to make beads which in turn she sells as they are or makes them into jewellery items. 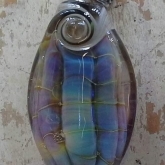 She also uses the soft glass to make cupboard/drawer knobs. 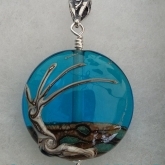 She uses the boro glass to make sculptural pieces such a glass trees, drops, small creatures and also jewellery and marbles. 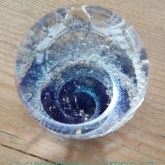 Within Lotti’s boro portfolio she also offers memorial glass pieces containing cremains of loved ones (including pets), for more information on Lotti’s memorial pieces please have a look at the ‘memorial‘ page of her website. 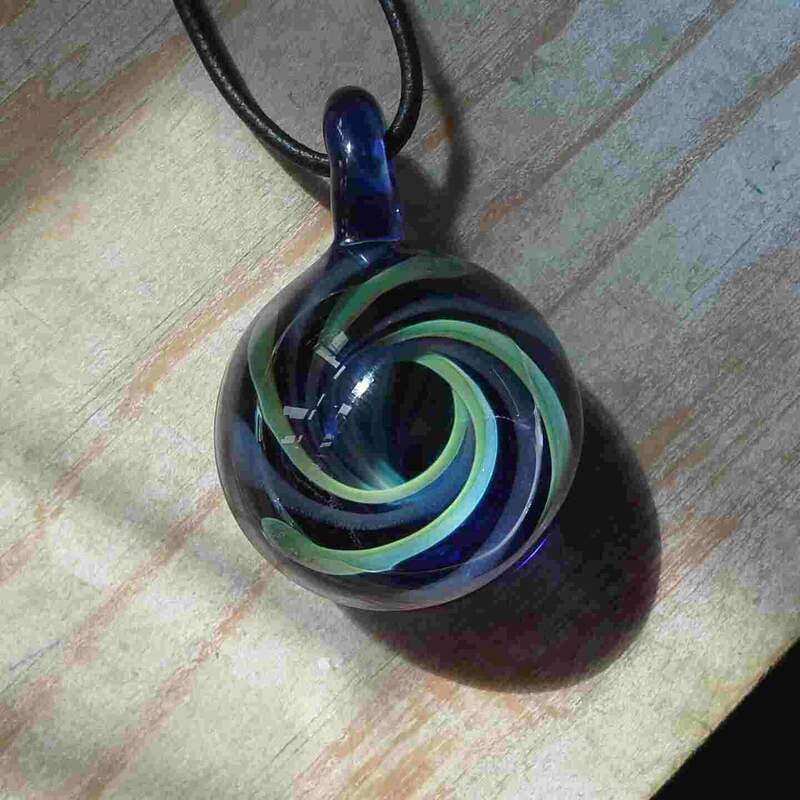 Lampworking is the art of melting glass rods (generally) in a high temperature duel fuel torch, the two fuels are propane and o xygen. 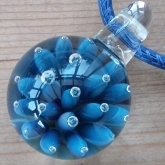 To make beads the rods are melted onto steel sticks or mandrels coated with a fine clay mixture to prevent the glass sticking to the mandrels. 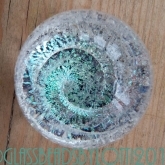 You can buy glass in lots of different colours and some react in the flame to produce interesting effects. 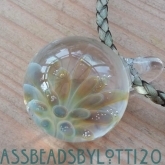 To create the beads various tools and hand movements are used to create the designs and effects. 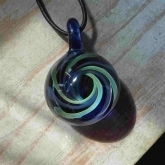 One the bead is made (and very quickly) it is placed in a digitally controlled kiln to anneal or harden, this can take 12 hours to cool. 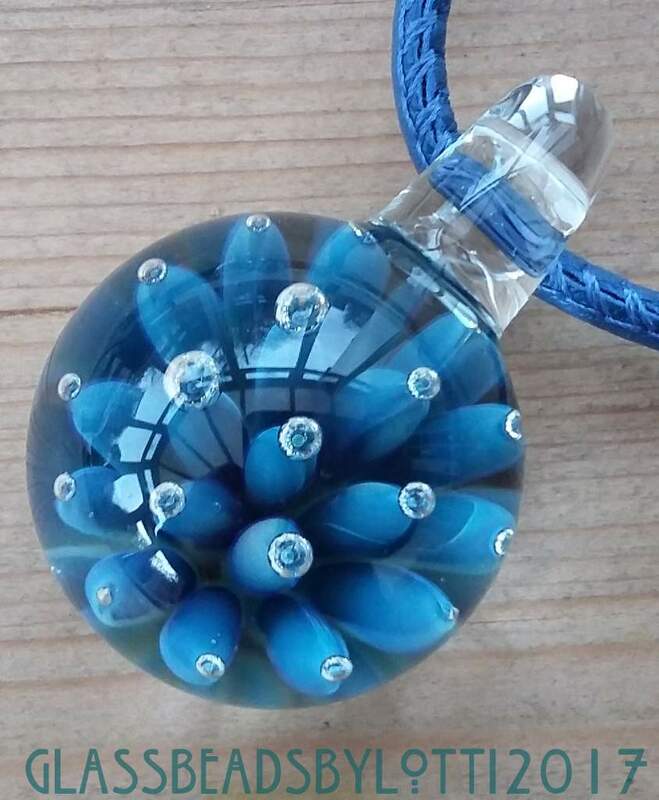 Once the beads are cool they are removed from the kiln and the mandrels removed by soaking the bead and the clay mixture left in the hole is cleaned out, the bead is then inspected to ensure it is of the highest quality before making it into a jewellery item or selling. 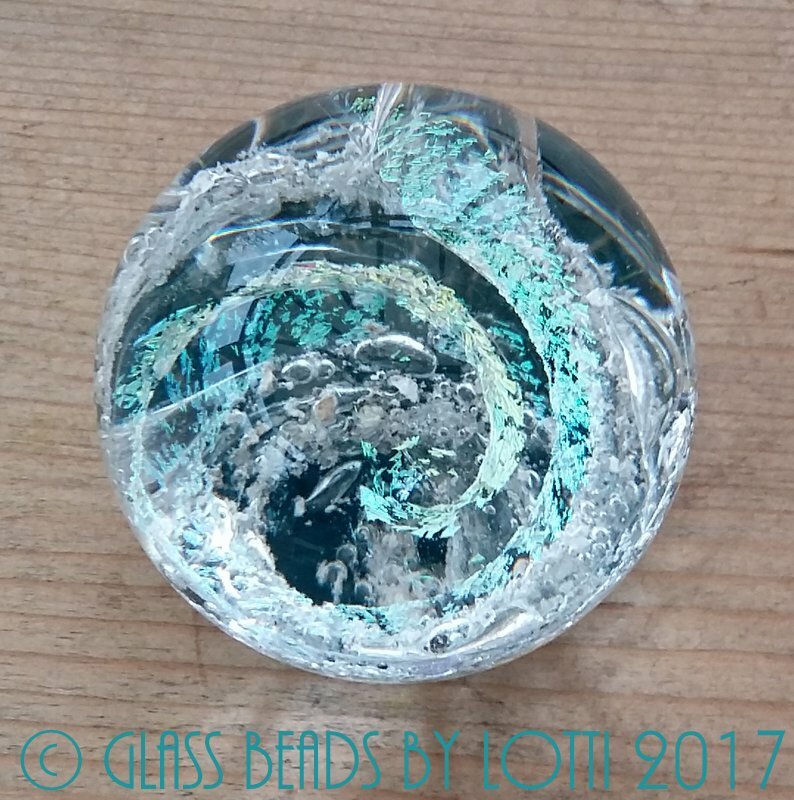 All jewellery items that Lotti makes are made with sterling silver except for cufflinks which are made with plated silver bases to keep down the cost, for ear studs she sometimes uses surgical steel. 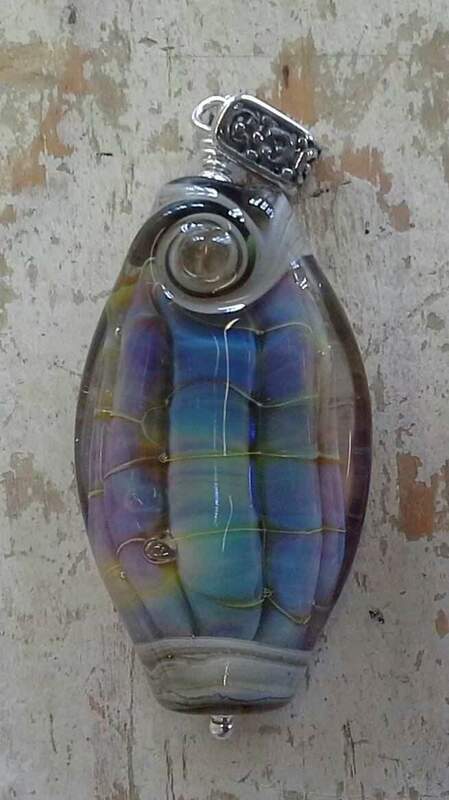 For the boro work this is done ‘off mandrel’ and the piece is supported in the flame using small glass rods (punties) or tools so you don’t burn your fingers. 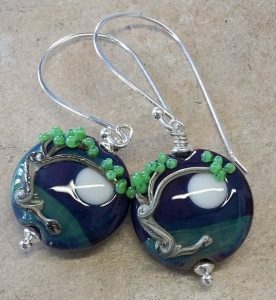 At some point Lotti hopes to video her work so you can see how it is done, but there are many videos on youtube showing people making lampwork glass pieces. 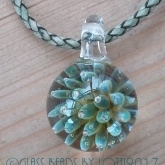 Lotti takes inspiration for her work from the wild countryside around her and loves making organic pieces. 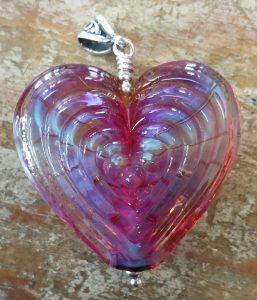 You can find more information about her on her website including more photographs and you can contact her here. Lotti does have an Etsy shop (online shop see below), where you can currently buy her jewellery and she will be adding beads again shortly. 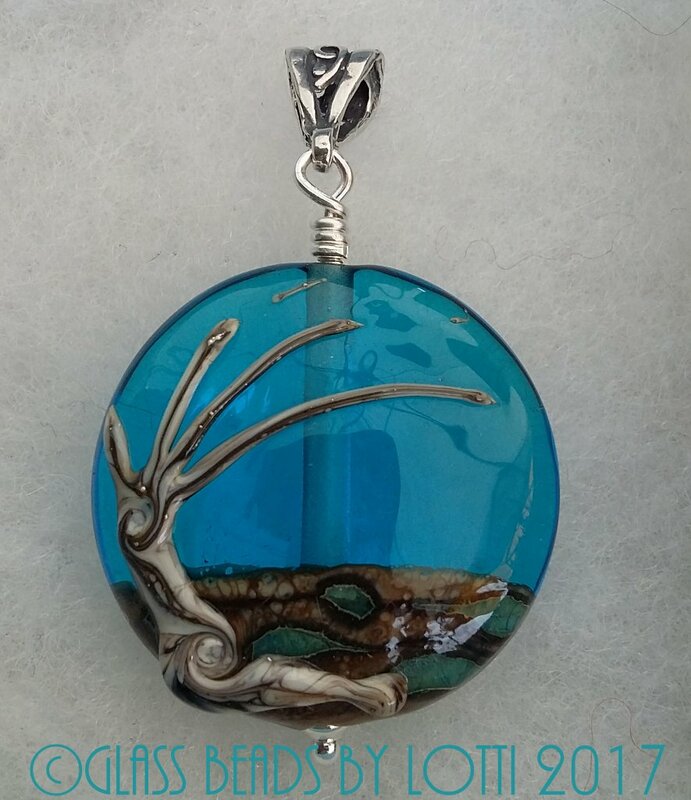 All the items in with prices on them are available for sale, you just click on the picture and it will take you to the item with information on the online Etsy shop. 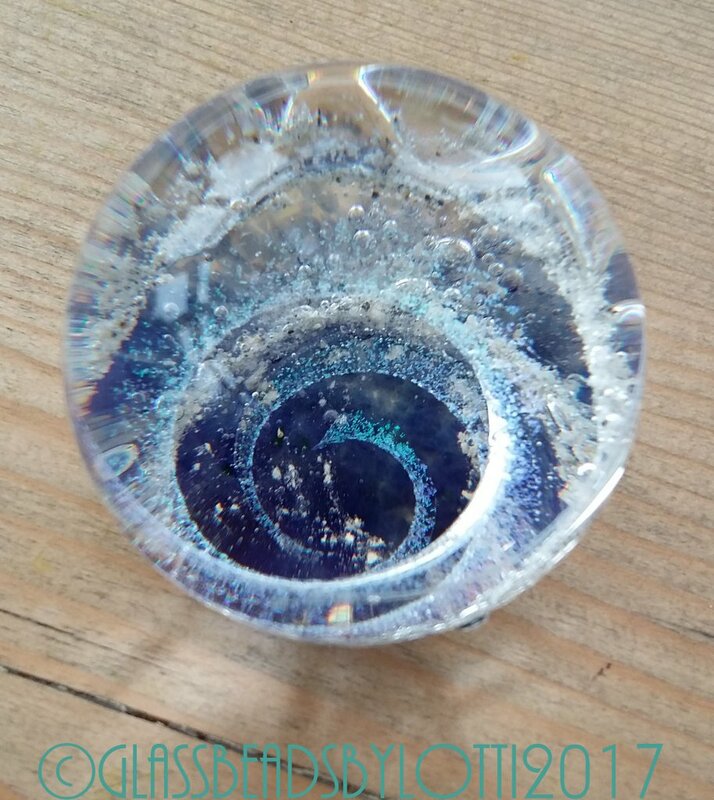 Below are photos of some of her other work that is not currently for sale but gives you an idea of her pieces including paperweights.